Dubai Internet City has introduced the new freelance permits for the technical professionals. This facility will help the people start their work in the tech sector and they will enjoy the diversity of income sources. The free zone is helping to attract local and international talent. The cost of freelancer package having worth of Rs.274,499 per year, which is including in the freelance permit and has the access to business center. 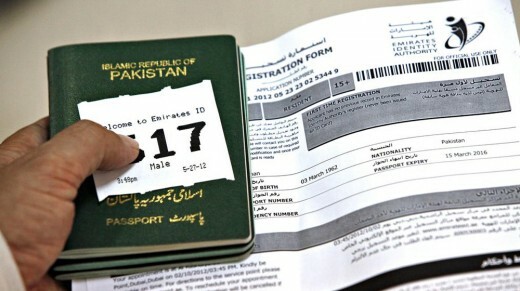 DIC will extend help to the person, who want to get visa for the purpose. Tech Professionals Freelance Work Permits in Dubai. The people, who want to work in the tech fields including mobile, web, data science and analytics, software development and architecture, customer services and IT and telecommunication networking and the providers of the technical support and to the related services, they are eligible to apply for freelance package. The freelancers will choose the company and projects of their own interest and they can work on their own schedule. Dubai Knowledge Park has made the collaboration with Dubai Media City and they introduced the similar package with the same cost. They offer the package in the media and education sectors and the entire program is given the title of Go Freelance. According to the estimates, there are about 100,000 licensed freelancers, who get paid on short term contract basis. The number of companies offers option of ‘work from home’ with flexible working hours, which is increasing day by day. It has decreased the operational costs with the increase in the productivity levels. Ammar Al Malik is the managing director and Dubai Internet City and Dubai Outsource City, who has the opinion that the Go Freelance is the need of the hour and it is also a solution that it facilitates the businesses by constantly demanding the talent. If you want to stay relevant, competitive and profitable, the businesses need to ensure that the people can operate them with the flexible business model and it embraces the concept of freelance talent. It is one of such solution that businesses take the advantage to keep up with constant demand for the talent.